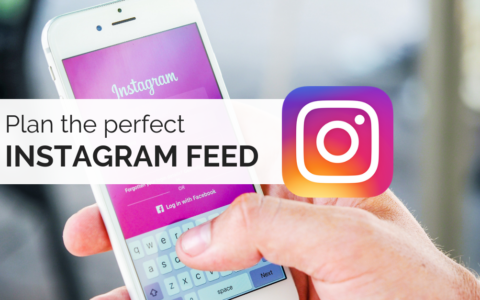 Instagram has come a long way since it launched in 2010. Back then, it was all about the preset filters and frames, which gave low-fi snaps of pets or breakfast a sort of charming, retro feel. Fast forward to 2019, and some things never change: pets and brunches are still huge on Instagram. But as brands, bloggers, photographers and influencers got involved, the platform became more and more polished. Preset borders gave way to creative editing; native filters were shunned for more powerful photo-editing apps. It’s not enough now for brands to stick photos up on Instagram without a cohesive visual identity. 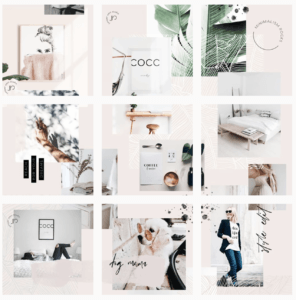 If you want to stand out and look professional, a beautifully-designed Instagram grid is essential. Especially if you’re in a creative industry or the social media biz. 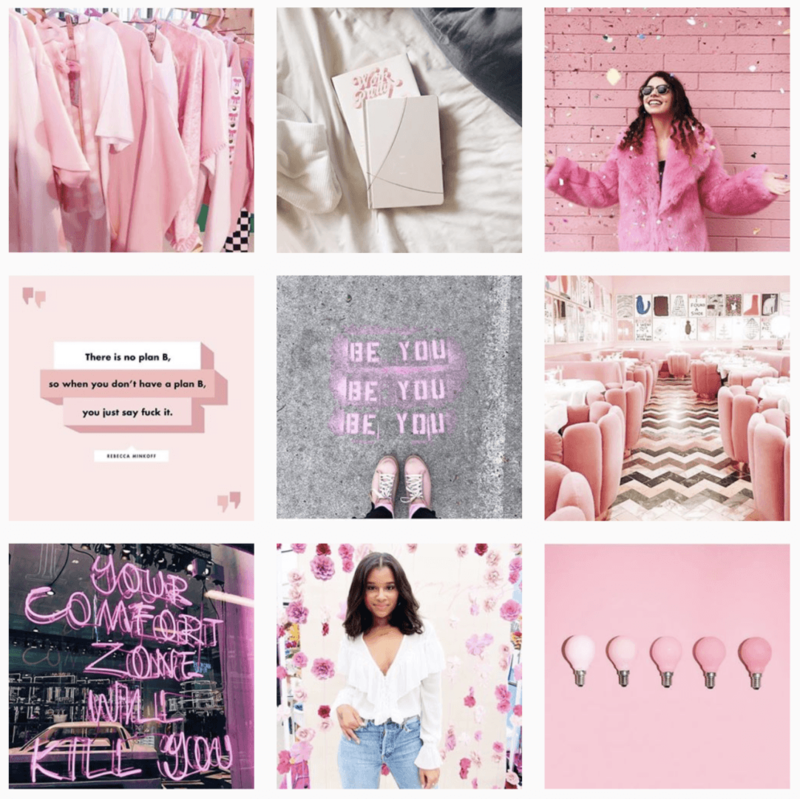 What is an Instagram theme? Do I really need one? 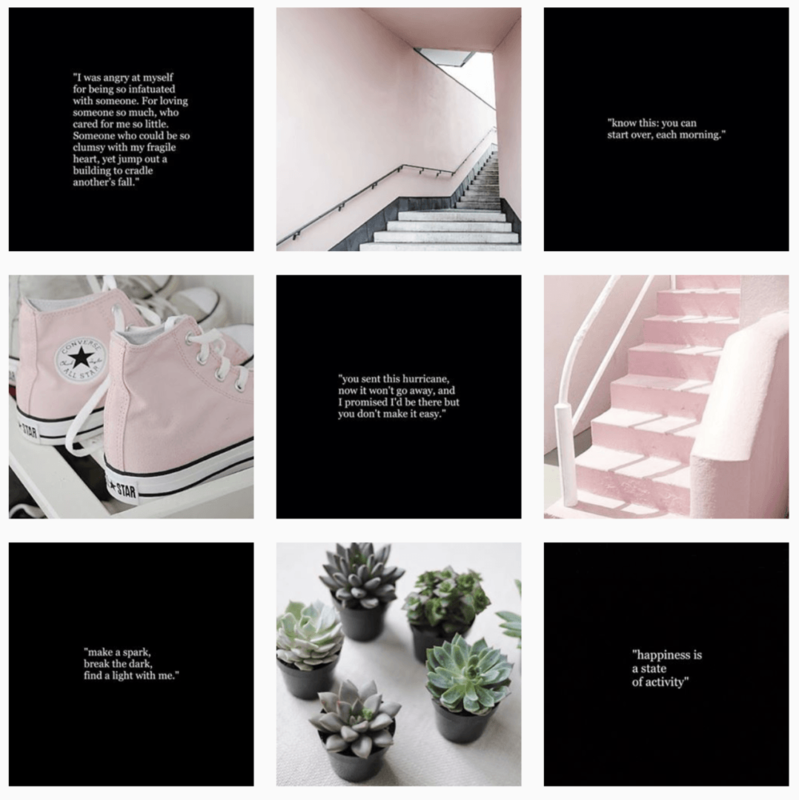 An Instagram theme is the overall aesthetic of your grid. You can design your own, or download templates to use. It can be as simple or as complex as you like. Just remember, the more complex you go, the more planning that you’ll need to do. 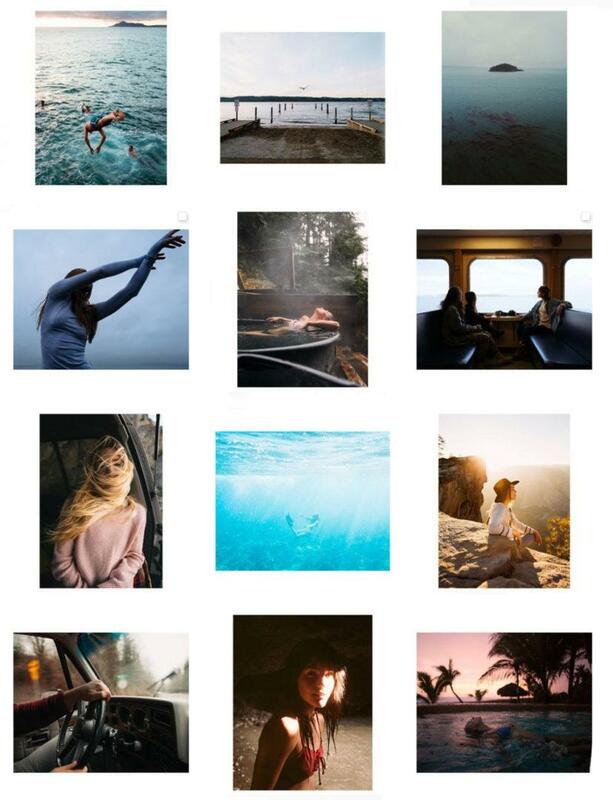 A beautifully complex Instagram feed can be visually striking, but a big commitment. 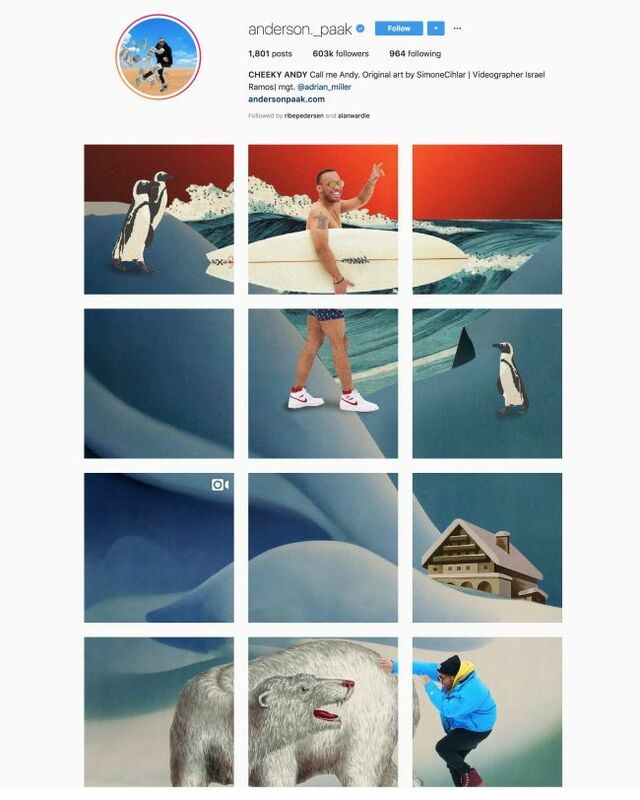 Here are seven creative Instagram designs we ♥ to give you some inspo for your own. JuniperOats might be the Queen of the Puzzle Feed. As you can see, each tile links to the tiles surrounding it, creating this awesome ‘puzzle’ effect. This needs to be planned in advance and sliced accordingly. Want to try something like this? 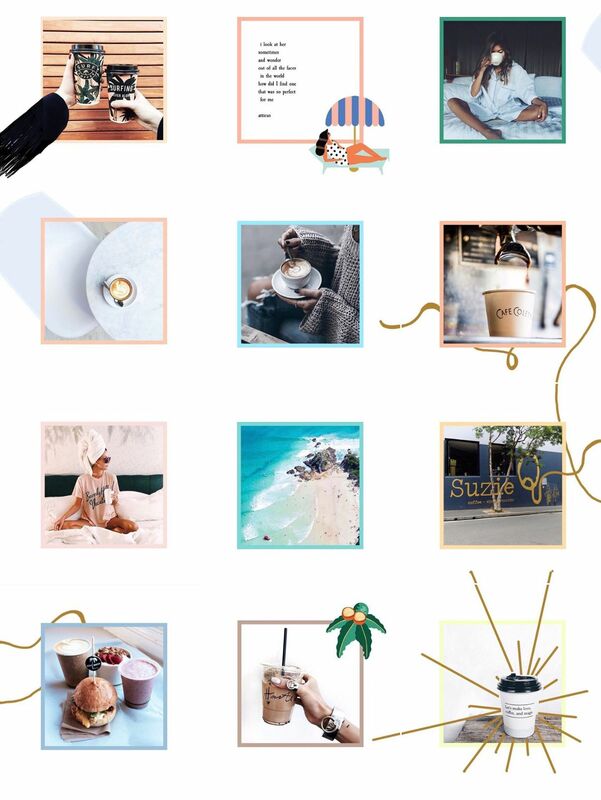 SmarterQueue’s Visual Instagram Planner allows you to preview and rearrange your Instagram grid before scheduling your posts. 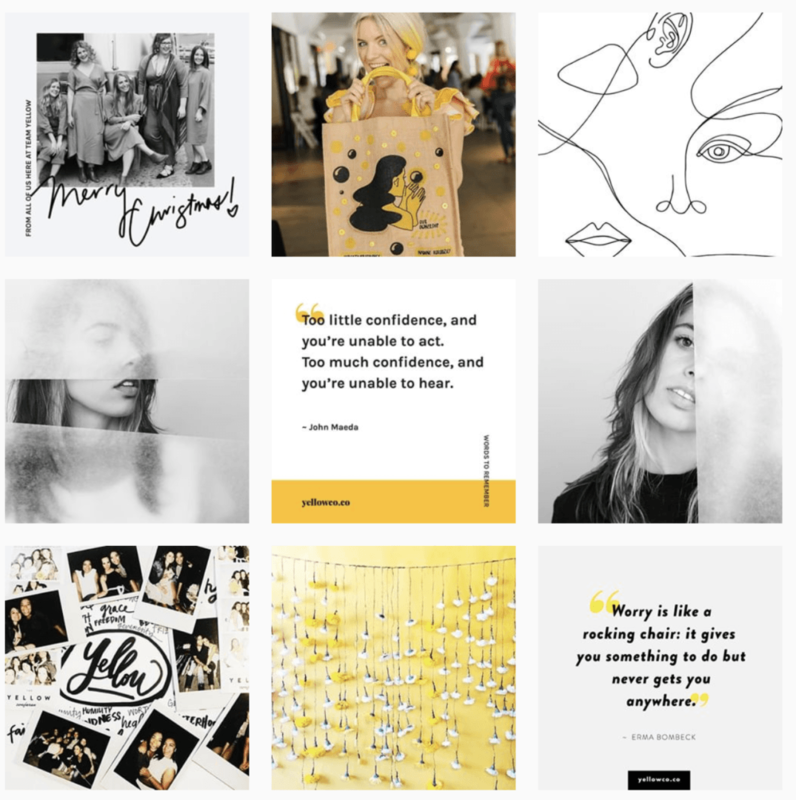 Great for launching campaigns, big announcements, or separating old content from new; the Instagram Grid Takeover tends to be between three and 12 tiles which are all one big image, sliced. Doesn’t this look fun?! We love it when an account has a colour theme and sticks to it. Visually pleasing, bold and bright: Work Party are nailing the dress code. A colour theme is also simpler to stick to than complicated grid designs. Also nailing the colour theme is Yellow Co. Living up to the brand name, their feed is a beautifully stylised selection of yellows, with themed quote templates to tie it all together. Surprisingly simple, this effect gives an understated but striking effect when used with a consistent photography style. You don’t have to be limited to the traditional border. Add white space around your images to play with the overall effect. Experiment with how they work together to give a considered, editorial effect.